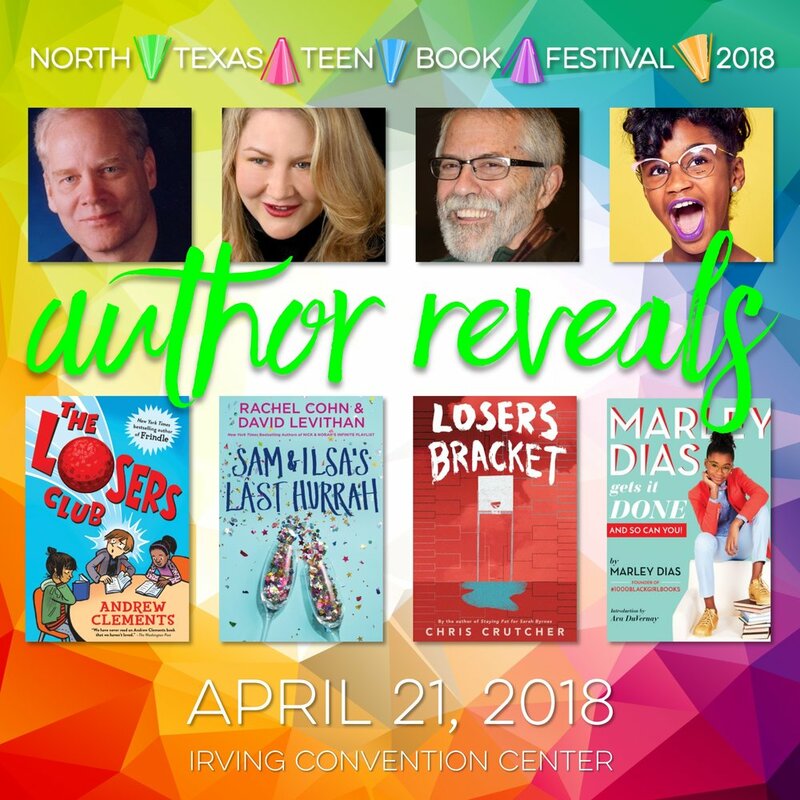 April 20, 2018 from 7:30 a.m. to 4 p.m.
Join Sam Houston State University professors, Dr. Rose Brock, Dr. Karin Perry, and Dr. Teri Lesesne as they welcome special guests Marley Dias, Meg Medina, Sarah Mlynowski, Gayle Forman, Nic Stone, Jenni and Matt Holm, Stuart Gibbs, Nathan Hale, Rebecca Stead, Julie Murphy, Brendan Reichs, Dhonielle Clayton, Roshani Chokshi, Colby Sharp and over a dozen more MG and YA authors to North Texas as they share the best new books for readers, as well focus on practical and exciting ways to engage young readers from upper elementary through high school. 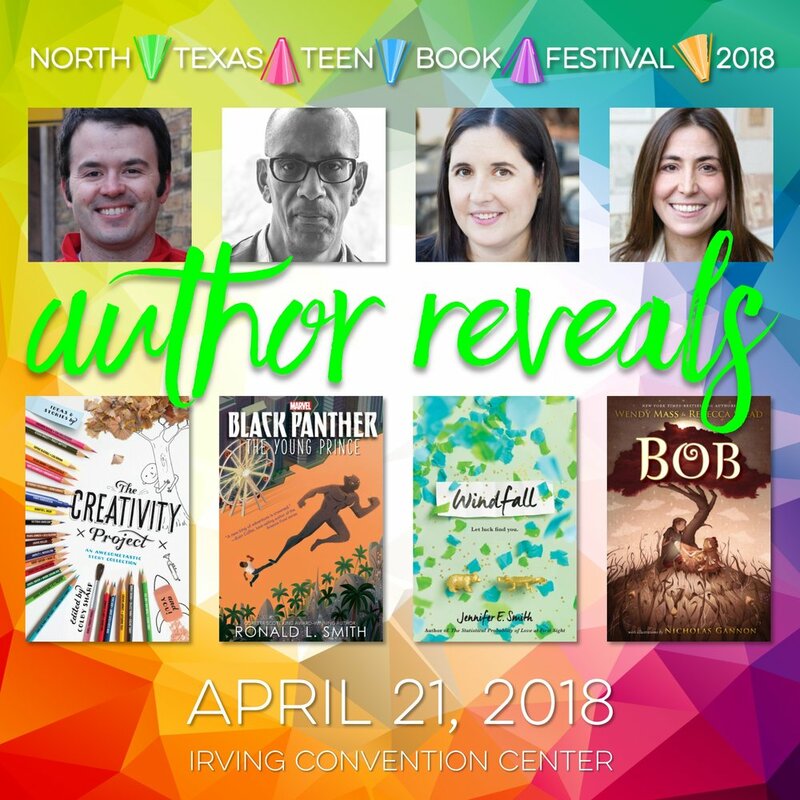 Sign up to be a NTTBF volunteer! We're using SignUp.com to organize our upcoming SignUps. If you have any questions, feel free to email NTTBFVols@gmail.com or cmorgan@cityofirving.org. The full author list is now available! Get your own printable list here. 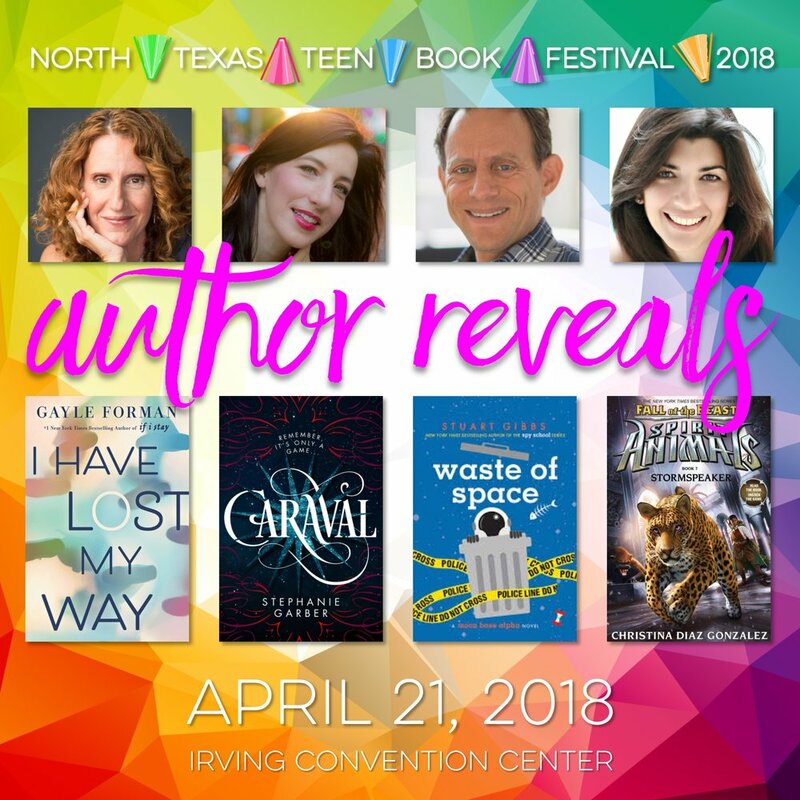 Day #2 of author reveals! 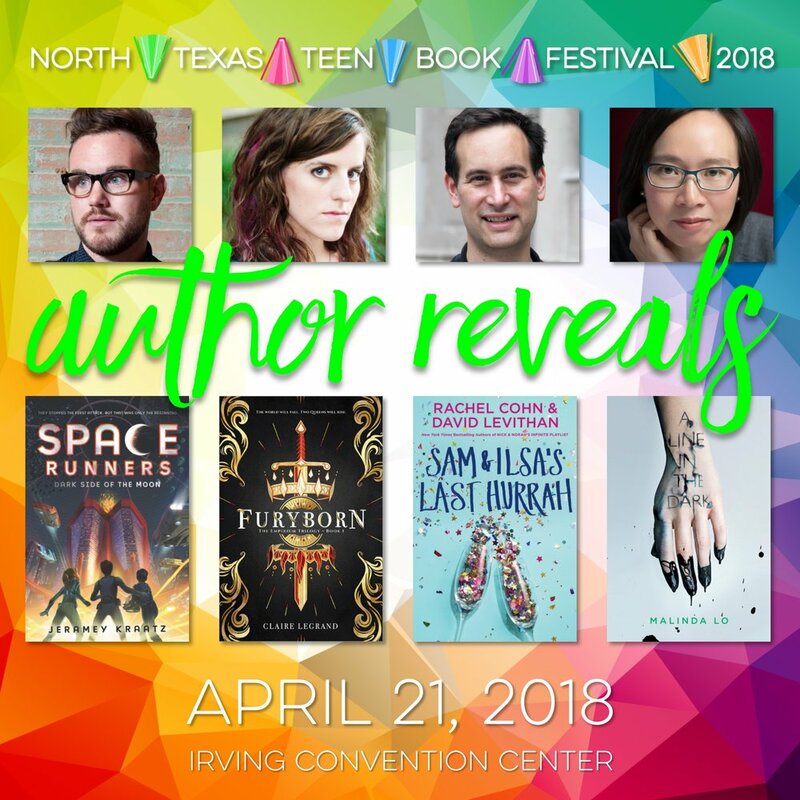 We're so excited that @cassieclare & @angiecthomas will be joining us for #NTTBF18 as our YA keynotes! We are absolutely thrilled to announce that Dav Pilkey will be our middle grade keynote for #NTTBF18! Bollywood and K-dramas and fandoms, oh my! If you are a lover of pop culture or of love stories then Irving Public Library has got an author panel for you! 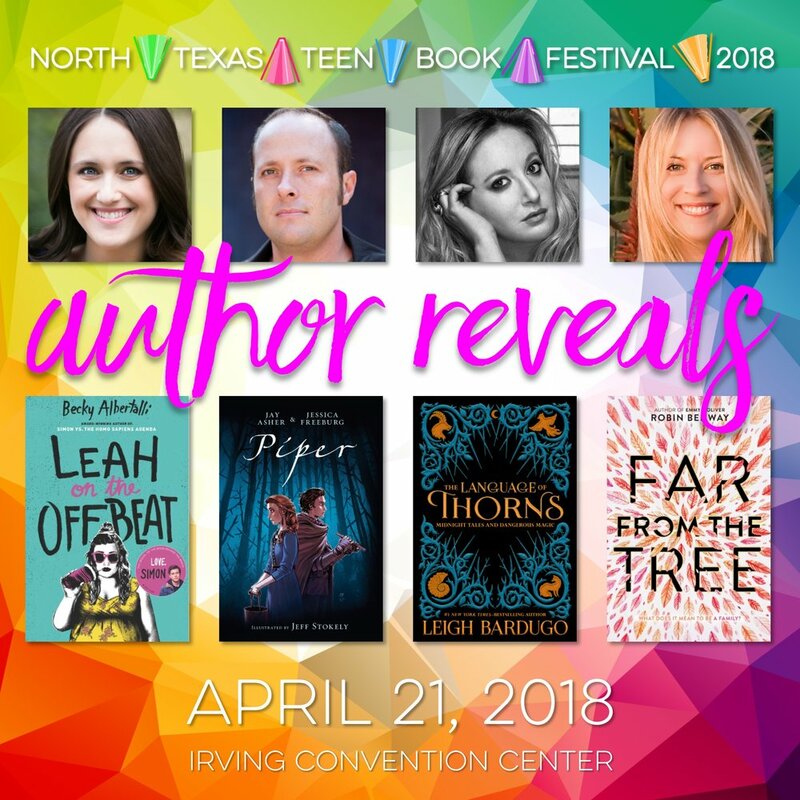 Thank you for your interest in NTTBF! 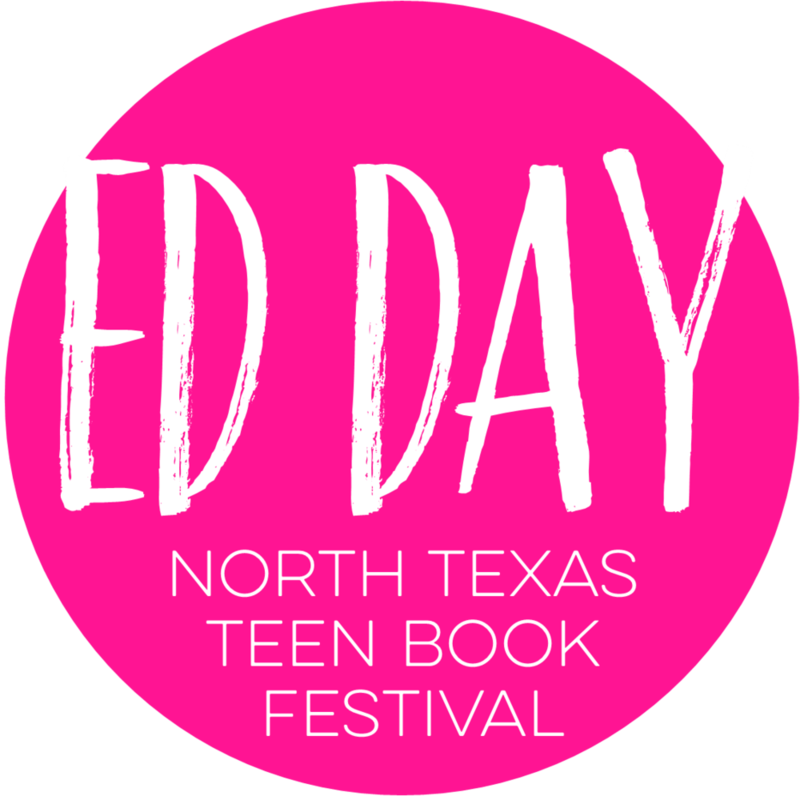 We will be accepting pitches for authors interested in participating at NTTBF18 from September 1-15, 2017. At this time, we will only be considering pitches directly from publicists for young adult and middle grade titles. We will not be accepting self-submitted author applications for the 2018 festival. Please send submissions to Dr. Rose Brock at reallyrosebrock@gmail.com.